Today I finished preparing for the Atlanta Java User Group's March meeting next Tuesday (Updating the website/preparing the mailing list announcement) . The topic is: Enterprise JPA with Spring 2.5. You can find more details here. Pratik Patel will give the presentation and I am really looking forward to it. Thanks Pratik! Although the current political situation here in the US is crappy, to say it bluntly, this blog entry is not about politics but rather about how you can save a lot of water when using the right toilet. Growing up in Germany, I am accustomed to having toilets with instant flush-stop which are very effective. As far as I believe and read on various internet sites the situation is quite similar across other European countries, Japan, Israel, Australia etc. In the US the situation is improving but unfortunately still lacking. My wife and I live in a twenty year-old town-home in Atlanta, Ga, that had the original toilets still in place. This means the toilets were using approximately 3.5 gallons (13.2 liters) of water per flush. Not good. Since last year residents of Georgia have been enduring a total outdoor watering ban, and I finally decided it is time to start doing something. And thus I spent some time investigating the options I have in order to save more water by replacing my toilets. 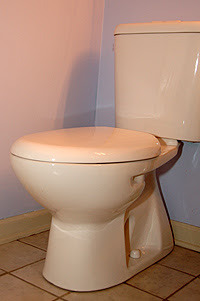 Currently, federal law mandates toilets that are using 1.6 gallons (6.1 liters) of water per flush. This is much better than my old toilets, but we can do better. There is a federal label for water-saving products called EPA WaterSense. Products with this label are required to use no more than 1.3gallons per flush. Cool, but can I do even better? The best - To reduce water consumption even further, you can choose dual-flush toilets that reduce water consumption by an additional 25%. Those toilets have basically 2 buttons. One for the 'big stuff' and one for 'liquids' using only 0.8gallons (3 liters) of water per flush. Once I decided to go for the best available option, provided the price be acceptable, the tough part started. Which manufacture/model do I choose as well as where to buy? First of all, the 2 big home improvement stores, Lowe's and Home Depot, were quite a bust. Their selection of EPA Watersense certified toilets is quite limited. Taking it to the next step and asking for dual flush toilets is like asking for the moon. This is very disappointing for a metropolitan area of 4.5 million in a severe drought. 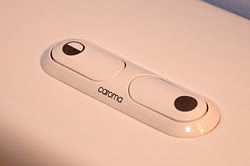 Anyway, in my opinion, the best product I was able to come up with is a company called Caroma and they provide a list of their local suppliers on their website. Luckily they have suppliers that are local to Atlanta. The model I chose is the Sydney 305 Elongated and thus I purchased 3 toilets from ecoTransitions Inc. They were extremely helpful and home-delivered. Installation was quite straightforward, considering the fact that this has been my first installation ever. Finally, I must say they work great! !